Fall Sundays are football Sundays. For me, football season has always meant sharing Sundays with friends and family gathered around the TV and lots of great food. 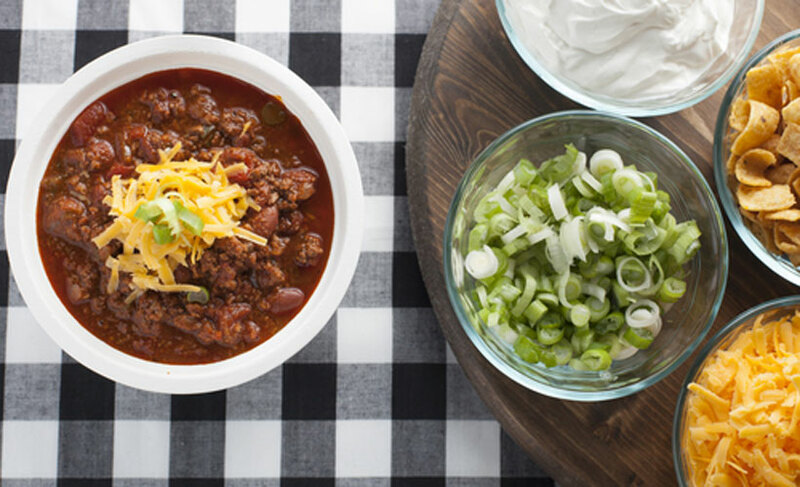 There’s no better way to feed a house full of hungry football fans than a hearty, healthy chili. This simple slow cooker recipe quickly became a staple and a crowd-pleaser in my house. Make it your own by adding some jalapeno, cilantro, or cheese. Mix diced onion, black and kidney beans, tomato sauce, corn, cumin, chili powder, and taco seasoning together in your slow cooker. Place chicken on top. At five-and-a half hours, shred the chicken and stir the pieces into your chili. Place the chicken on top and cover, setting the slow cooker on high for six hours. Half an hour later, your chili will be ready to enjoy!